What if these leaders already exist-and they need your support? Were you a student in an urban public school district? Even if you weren’t, do you remember that one teacher that believed in you more than you believed in yourself? I know I do. If it wasn’t for coach McGavock, I don’t know where I would be right now? How amazing would it be if there was a school of leaders with the same agenda, delivering the same message, challenging and supporting our kids to be great! 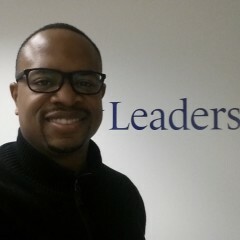 I hope you will join me in supporting New Leaders (www.newleaders.org), a national non-profit that I work for and believe in 100%! We at New Leaders recruit outstanding educators and develop them into transformational principals and leaders for students in high-poverty schools. One such leader is Monica Thomas, who founded Greenleaf Elementary School in Oakland in 2007. Greenleaf Elementary is a K-8 public school serving 548 students in a high poverty community in East Oakland. Greenleaf strives for academic excellence from all its students and expects staff and students to follow the school’s principals of learning: integrity, determination, pride, and inquiry. 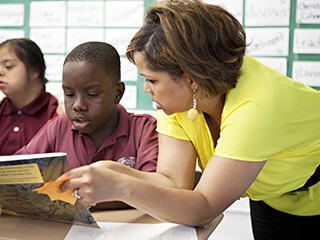 The school works to address the unique needs of its community, providing an integrated after-school program for its students and heavily engages parents through consistent progress reports, an ELAC (English Language Advisory Council), workshops and other adult educational opportunities. New Leader Monica Thomas was Greenleaf’s founding principal. Under her guidance, Greenleaf Elementary steadily improved outcomes for its students, increasing proficiency in math and English/language arts (ELA). During her tenure, the school gained 84 points on the Academic Performance Index (API – a key indicator of school quality) moving from 730 to 814. Similarly, Monica drove double digit gains in both Math and ELA proficiencies – Math scores went from 50 percent to 72 percent, and ELA grew from 27.4 percent to 48 percent during the same time period. After five years of leading Greenleaf and shaping its culture, Monica moved onto a district leadership position in fall of 2013 where she is impacting the learning of even more students in the district. New Leader Melanie Schoeppe has assumed the principalship and is in her first year leading Greenleaf. Tell Solomon why you this cause!